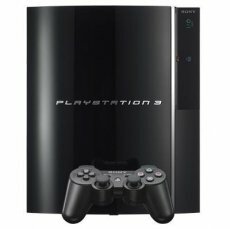 Sony took the samurai sword and cut off a large chunk off the price of its PlayStation 3 development kit. The new piece is almost half of the original one, a move meant to attract small and independent game developers. As it follows, the PlayStation 3 Reference Tool will now retail for $10,250 in North America, €7,500 in Europe and ¥950,000 in Japan. In addition, the company also released a handful of new software development features, with the ProDG and its SN tool suite being top of the list. Sony undoubtedly hopes that these new features (along with the price cut) will turn the PlayStation 3 into a more developer-friendly platform. The console has been widely criticized for a long time, with the many developers complaining that PS3 development is much harder when compared to the amount of work needed for the rival console, Microsoft’s Xbox 360. Given the fact that the latter does feature a plethora of titles and the PS3 is still struggling to put up a worthy line-up, one could say that the developers are right in their claims. Hopefully, Sony’s new strategy will work out better than the company’s previous initiatives and we’ll see some good project blooming in the near future.